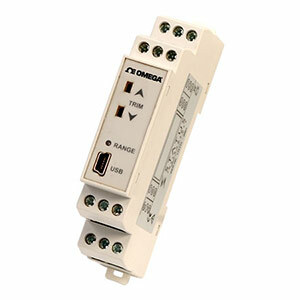 The TXDIN1600 Series is a new generation DIN rail mounted temperature transmitter. It has been designed to accept most common process and temperature sensor inputs and provide the user with a standard two wire 4 to 20 mA output signal. Isolation is provided between input and output and all temperature ranges are linear to temperature. The TXDIN1600 is also provided with user push button trim, allowing trim adjustments at both 4 mA and 20 mA. The user trim function can be locked during configuration if not required. The range led indicates out of range input during normal operation, during user trim it is used to indicate the stage of trim. † All prices on this site are shown in Malaysian Ringgit. Note: Comes with operator’s manual.